One of the first things we saw on arriving at Portsea Island was really quite beautiful. 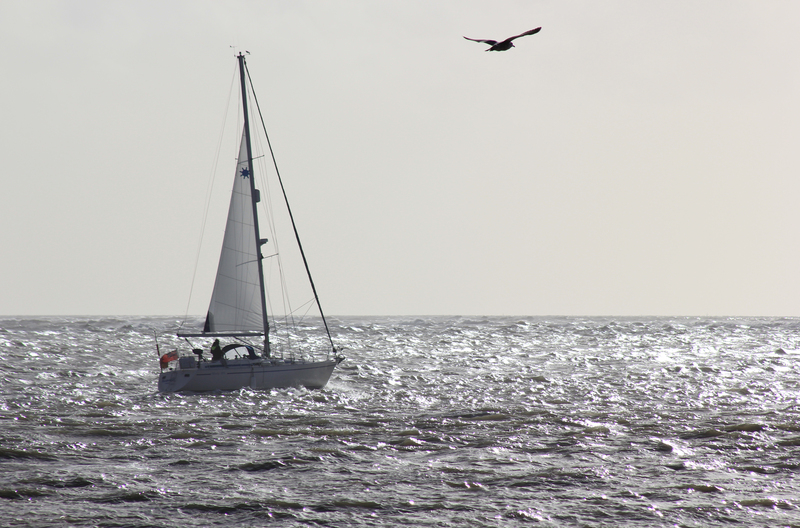 A yacht cut through the sunlit waves followed by a gull who glided alongside. This yacht was sailing out of Langstone Channel and into the open sea. As it sailed off I checked my map. We were on the eastern corner of Portsea Island and my GPS was showing a footpath around this corner of the island, however, my map disagreed. It showed no footpath. The lie of the land seemed to agree with my GPS; there was a clear trail through the grass where many feet had passed before us. We decided to follow this trail, which soon petered out onto a shingle beach. Ahead of us was a jetty. Never one to miss a jetty (when walking the coast of Britain all jetties must be walked, otherwise you feel as if you have cheated) I thought I might gain some vantage point showing me whether the beach was accessible all the way around. It wasn’t. To be sure, I jogged over to the fencing whilst the remainder of the Coastal Clan ambled slowly behind. There was no way through. “Go back!” I yelled into the walkie talkie I now always carry with me. The walkie talkies were an idea of my friend and Guest Walker, Mike. A great idea they were too, so think the remainder of my family. Whenever we get to a bit of coastal path which looks as though it might finish in a dead end, or whenever we think we may have taken a wrong turn, they always get the walkie talkies out. “You run on ahead and we’ll follow!” my wife always tells me, with that funny look on her face which I know means she is trying not to smirk at me. I always run along as ordered, and if the way is blocked I radio back to them so they can avoid the unnecessary walk. Sometimes, however, I radio back to say the way is open. On those occasions, they seem to take an extraordinary long time to catch up and I realise they have just been sitting there, resting, waiting to find out whether they should bother walking forwards or backwards. I suppose, if you are going to walk the entire coast of Britain, saving a few feet here and there soon builds up. But what would I know? I never get the opportunity. “Go back!” I yelled into the walkie talkie. Back we went, joining a road instead and heading southwest. 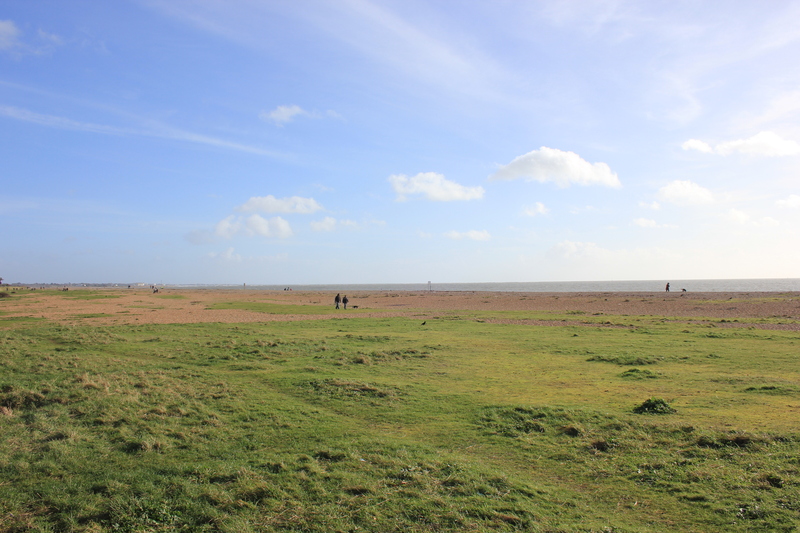 We walked to the north side of Fort Cumberland, a pentagonal fort built between 1785-1810 to protect Langstone Harbour, but it was almost invisible to us from the road. 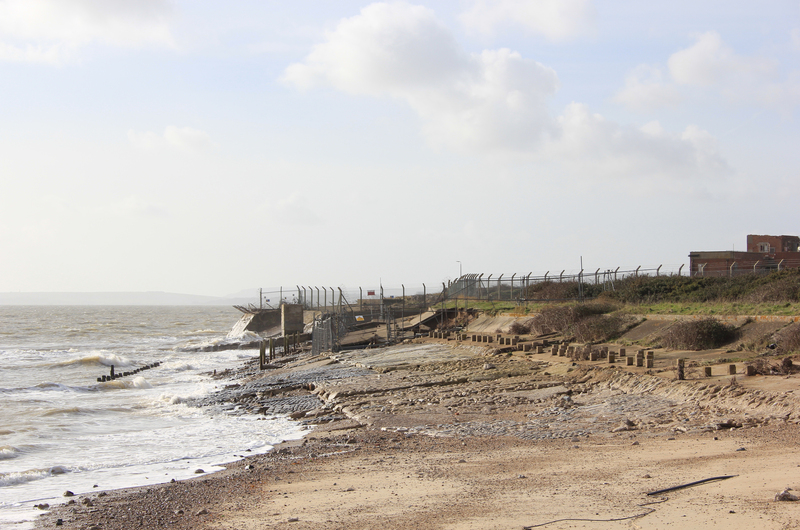 A housing development or two later and we were able to rejoin the coast at Eastney Beach. Eastney Beach is reportedly a naturist beach, but it was way too cold for any of that today, besides which we kept to the promenade rather than the expansive beach itself; I suspect the naturist beach is tucked away in a quiet corner and not visible from the promenade. 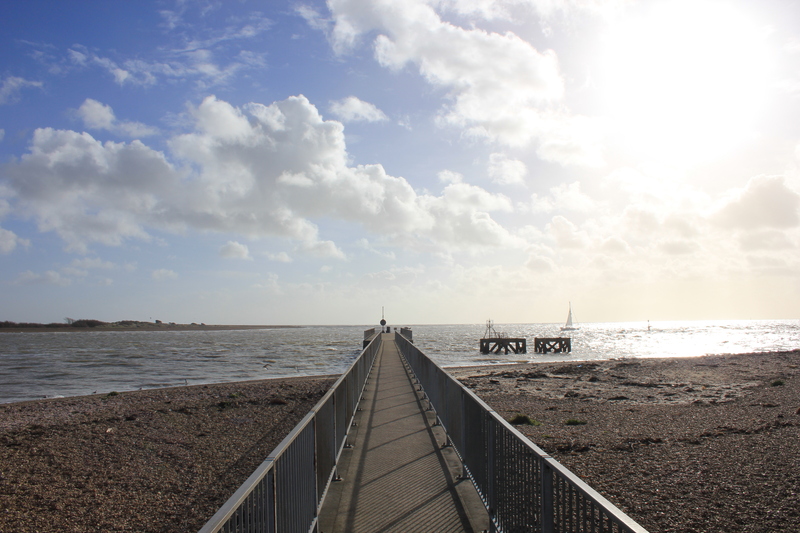 This entry was posted in Hampshire, Islands and tagged coast, Eastney, Hampshire, Portsea Island, travel, walkie talkies, walking. Bookmark the permalink. yes something should be done at the very unpleasant & dangersous condition of the pathway leading to the beach following the work upgrading the nearby caravan park and holiday site. will . will ,get in touch with the Portsmouth City Council about this , it is after all their job for this, Regards Michael. This is for Eastney Beach.